A lightweight Laptop Cart which is clean and simple. This lightweight Laptop Cart has been designed to be comfortable and ergonomically correct whether you are pushing, pulling, sitting or standing. Effortless to manoeuvre in any environment. 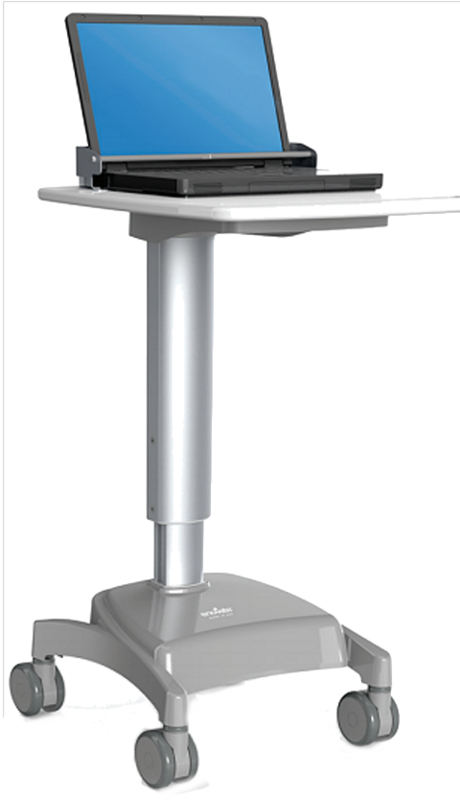 The EMC Lite Laptop Cart is height adjustable and has a large work surface. It is great for infection control, while also being perfect for use on wards and many other areas of the hospital.